CALL OUR ELIZABETHTOWN STORE 270-765-2886 FOR MORE DETAILS. 44 AUTOCHECK CERTIFIED 1-OWNER! 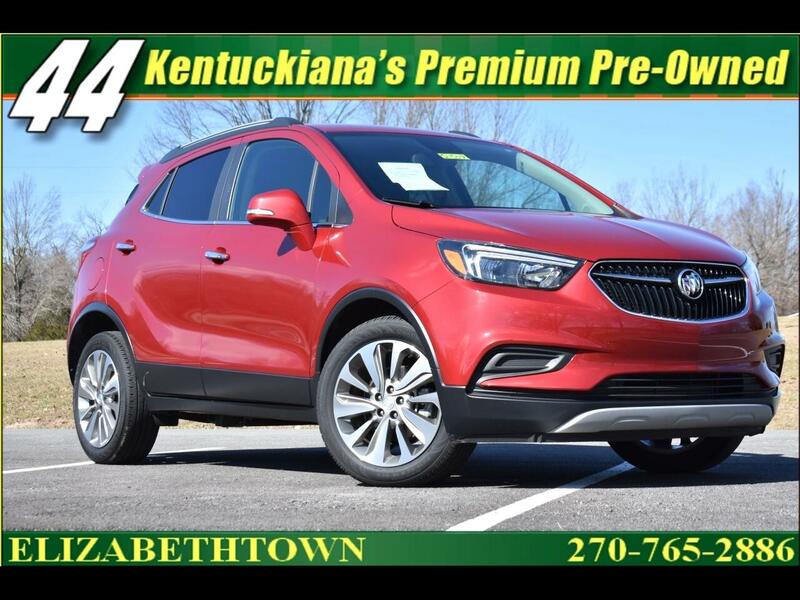 LIKE NEW BUICK ENCORE POWERED BY THE 1.4 LITER ECOTEC TURBOCHARGED ENGINE AND LOADED WITH LEATHER TRIMMED INTERIOR, BACKUP CAMERA, KEYLESS ENTRY, AND LOTS LOTS MORE. INCLUDED ARE ALL OF THE ORIGINAL BOOKS AND MANUALS. WHY BUY NEW? THIS LOW MILEAGE ENCORE LOOKS, RUNS, AND DRIVES LIKE NEW FOR ABOUT $8000 LESS THAN THE PRICE OF A NEW ONE. CALL (270)765-2886 FOR DETAILS! AUTO MART IS LOCATED AT 1403 NORTH DIXIE HIGHWAY, ELIZABETHTOWN KY 42701. WE ARE ONLY 30 MINUTES SOUTH OF LOUISVILLE AND JUST 2 MINUTES FROM I-65, AND THE WESTERN KY PARKWAY!